The coolest horizontal mobile FTG game; innovative ACT playing method; switching among endless heroes – everything is included in the Heroes of War! 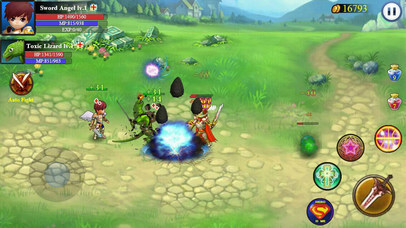 Well-designed 70 levels, abundant plot, 15 operable heroes being combined to fight at you will, 5 occupations of heroes（Warrior、Master、Priest、Assassin、Hunter）, contest among 6 races（Human、Sanctuary、Undead、Stronghold、Demons、Dragons）, dazzling skills and manual and automatic fighting will bring you brand-new experience of ACT games. In 2114 A.D., a girl from the future travels to ancient times and gets involved in the fight between the Dragons and the Demons. In order to save the world that about to destroy after the final battle, she gathers more than 10 heroes to march towards the scared land of the Dragons where the final battle will take place. Movable friendship, betrayal, love and fated duel – they will all happen in here. -It provides creative ways to play an ACT game with new experience. -You can feel free to mix and match 6 races and 5 occupations to fight. 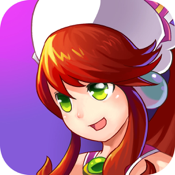 -It has 70 well-designed levels, amazing plot and fantastic boss fight. -Equipped with abundant equipment system, that you can enjoy the fun completely. 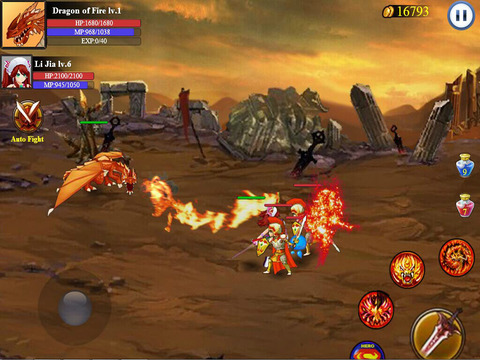 -It has wonderful featured skills, buff system and fluent action design. -Dynamic weather system in the main scene brings you excellent experience.